Motorcyclists and coffee go together like rama lama lama ke ding a de dinga a dong. 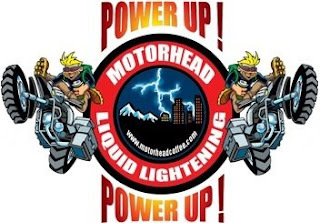 Motorhead Coffee is the perfect kickstart for that 0-dark-thirty ride departure. It's custom roasted for motorcyclists by a longtime motorcyclist/adventure-rider in Indiana named Jamie ("Shep" on ADVrider.com ). Motorhead currently roasts 12 varieties running the gamut from fairly good-natured to major slap-in-the-face. 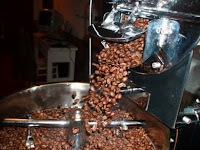 I tried a pound each of Motorhead's "Face Plant" and certified-organic "Trail's End" beans. Face Plant is a delicious, bold medium-to-dark roast that makes an excellent morning brew. Trial's End is milder (but still gutsier and more complex than anything you'll find in a donut shop) with a faint chocolate taste that would be good anytime, including with dinner or a gut-busting desert. The price of $10/lb. is reasonable and $2 from each pound sold is donated to ADVrider to help maintain the website. The beans (or grounds if requested) will arrive in special lined sacks with Motorhead's logo. Mine also arrived with metal clips for the bags, and a plastic measuring scoop. Order yours here and get your motor runnin'! Thanks for the tip. I added a link to them from my blog, Midlife Motorcycle Madness.